Three of her recent articles – “Architectural Exclusion” (Yale Law Journal), “Banning Lawns” (George Washington Law Review), and “Of Backyard Chickens and Front-yard Gardens: The Conflict Between Local Governments and Locavores” (Tulane Law Review) – were selected to be reprinted in the Land Use and Environmental Law Review, an annual, peer-selected compendium of the ten best land use and environmental law articles of the year. “Architectural Exclusion” and “Banning Lawns” were also competitively selected for presentation at the Sabin Colloquium on Innovative Environmental Scholarship at Columbia Law School. Professor Schindler has presented these and other articles at a number of universities, including Princeton University, Harvard’s Graduate School of Design, and the University of Michigan Law School. Professor Schindler was recently awarded a prestigious Law and Public Affairs (LAPA) Fellowship from Princeton University, where she spent the 2016-17 academic year. 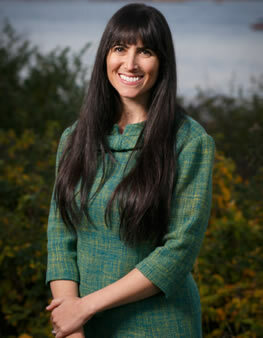 She was also named as Pace Environmental Law Center’s Distinguished Young Scholar of 2013.